Movies produced using EAGLE data and observations from paper Lagos et al. 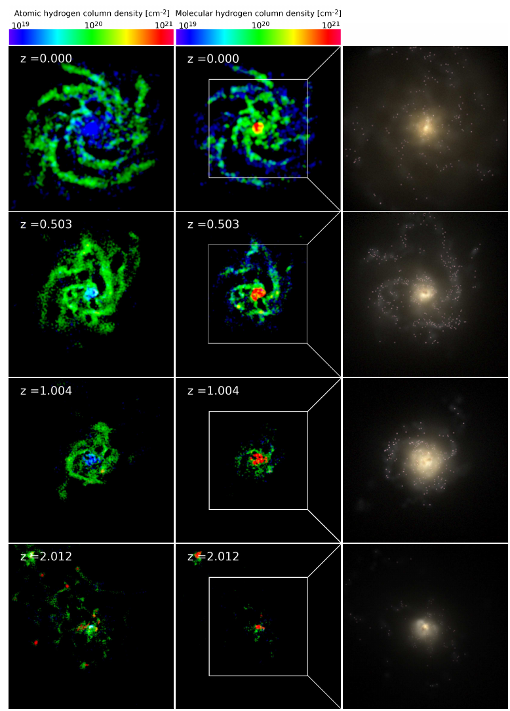 (2015): "The fundamental plane of star formation in galaxies revealed by the EAGLE hydrodynamical simulations"
Rotation over the fundamental plane of star formation: neutral gas fraction, SFR and stellar mass. 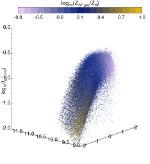 Rotation over the fundamental plane of star formation: neutral gas fraction, SFR and stellar mass. This movie shows EAGLE data together with a large compilation of observations. Rotation over the fundamental plane of star formation: molecular gas fraction, SFR and stellar mass. Rotation over the fundamental plane of star formation: molecular gas fraction, SFR and stellar mass. This movie shows EAGLE data together with a large compilation of observations. 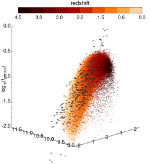 Rotation over the fundamental plane of star formation: neutral gas fraction, SFR and stellar mass, but this time showing the positions of galaxies as a function of gas metallicity. Rotation over the fundamental plane of star formation: molecular gas fraction, SFR and stellar mass, but this time showing the positions of galaxies as a function of gas metallicity. Here I show visualizations of EAGLE and GALFORM galaxies. 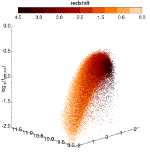 Example of a galaxy merger in the EAGLE simulations (Schaye et al. 2015). Left panel: ugr optical image. 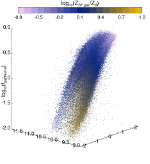 Right panel: Molecular hydrogen column density (Lagos et al. 2015). 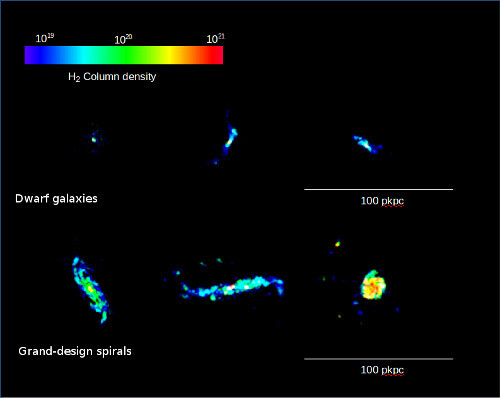 Three dwarf galaxies and 3 grand-design spiral galaxies in EAGLE seen by their molecular hydrogen content (Lagos et al. 2015). 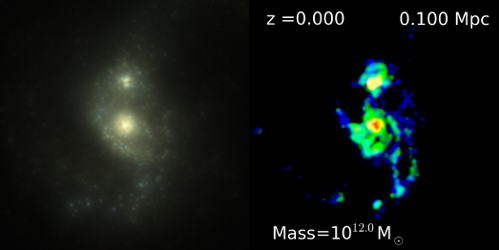 Parallel of GALFORM galaxies and dark matter. Courtesy: Mark Swinbank, Daniel Farrow and Volker Springel. Lightcones of galaxies selected by their content of atomic hydrogen done using GALFORM (Lagos et al. 2012). From left to right, the HI mass threshold increases. 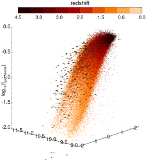 Atomic and molecular column density maps and gri images of galaxies at different redshifts. these galaxies have the same stellar mass, star formation rate and atomic and molecular contents but at different redshifts. Visualisations from Lagos et al. (2015c).